My name is Mike and I originate from Malaysia. Since summer semester 2015, I am enrolled at Technical University Berlin (TU Berlin) to study Master in Mechanical engineering. Through the brief introduction in my first lecture from Prof. Thamsen, I am acknowledged about the close partnership between TU Berlin and Norwegian University of Science and Technology (NTNU). Since then, it has been my goal to utilize this opportunity to write my master thesis at NTNU. I, personally, am interested in the power technology and Norway itself has been famous for its waterpower. Therefore, it is a perfect opportunity for me to widen my experience in this field. My very first contact person was Max Mühlefeldt and he was helpful when I told him about my desire to write my master thesis at NTNU. With his help, my details were passed on to Markus Fischer, who is the main coordinator of the Nordic Water Network (NWN) at TU Berlin. 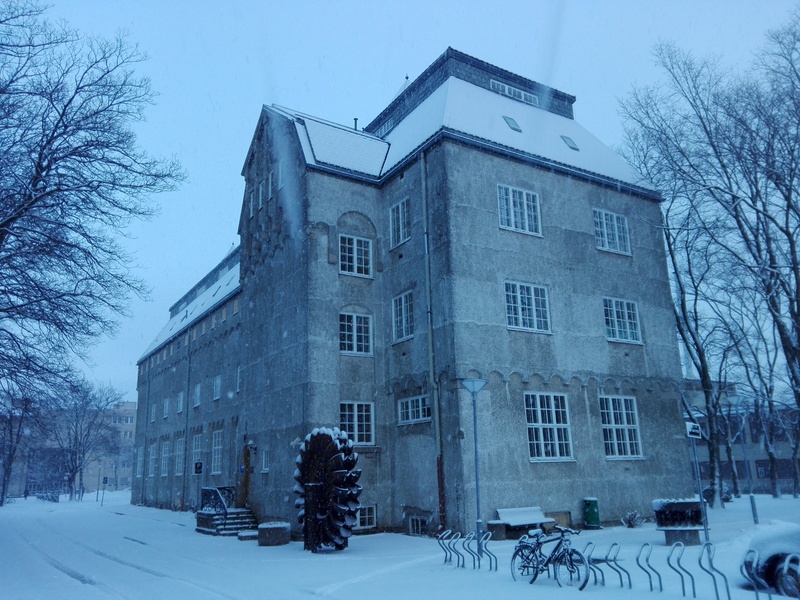 Through NWN, I was given the contact of the professor at NTNU to discuss about the topic of my thesis and that was the first and important task for the whole process. Markus Fischer has helped me a lot during the whole process. It is advisable to have the agreement from the professor at NTNU as soon as possible. This is because there is a deadline for applying as an exchange student or free mover at NTNU, especially for non-EU student like myself. This is because the deadline for non-EU student is usually a month earlier than EU students due to Visa application requirement. With the agreement from the professor, one can start to apply at the international office of NTNU. An invitation letter from NTNU is very crucial for the application of visa and accommodation for non-EU student at Sit. The application of Visa has taken up the most time during the whole process and thus, it is important to fulfill all the requirements for non-EU students during application to avoid any delay. In total, my stay at Trondheim was five months from September 2016 till January 2017. It was indeed a very rewarding and priceless experience to write my thesis in Waterpower laboratory at NTNU, Norway. I am very lucky to have Prof. Dahlhaug as my supervisor during my work at the laboratory. My preparation and registration at NTNU was smooth and easy as the international office has prepared a checklist and guidebook for every exchange student. Special arrangements with the UDI (Foreigners Registration Office) are organized by the international office. Tuberculosis check for non-EU students are arranged by international office as well. As for my accommodation, I got the room at the Moholt student village due to the requirements for Visa application. Moholt is the very strategic and happening student village for exchange student. Even though if you are not entitled to have an accommodation with the Sit (Student accommodation Organization), it is also possible to find the accommodation through Facebook group “Students’ market Trondheim”. From this group, it is also very easy to get cheap stuffs as they are many exchange students move in and out every semester. Living cost at Norway, unfortunately, can be challenging. However, it is manageable with a good planning. For example, there are free buses for students to travel to Storlien, Sweden for grocery shopping as it is usually cheaper there. It was a nice experience even though the journey can be long. As for the transportation in Trondheim, the buses operate under the company AtB. I choose to cycle to the campus. In winter, it can be a bit challenging due to icy road surface. 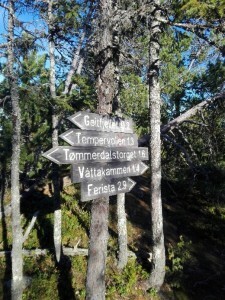 Apart from that, it can be a good option to exercise as the terrain in Trondheim is pretty hilly. During my thesis at the waterpower laboratory, I have met a lot very friendly and welcoming Norwegians. The student community in the laboratory is one of the things that I appreciate most during my stay in Norway. It will be definitely better if one can speak Norwegian language. From time to time, there will be gatherings or events organised for all the students in the laboratory to socialise. It was really memorable. Not forgetting to mention the beauty of nature in Norway, it clears all the doubt and hesitation for choosing Norway as destination country to do the exchange program. Trondheim is particularly strategic as it locates in the middle of Norway. 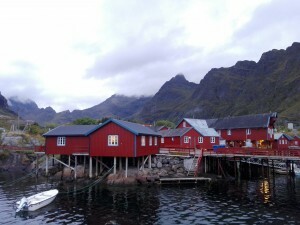 One can visit the famous Lofoten islands at the north and Geiranger or Bergen at the south. If one prefers not to travel far, there are plenty of interesting places near Trondheim for hiking or day trip like Bymarka or Lade. The semester period in NTNU is different than Germany and therefore, it should be chosen wisely depending on your study plan. There will be more exchange students during autumn semester than the spring semester, which starts in January. In my opinion, there are more advantages to stay during spring semester as the daytime will be longer and you can explore Norway more after the end of semester in June. And one can also have the opportunity to catch the northern light and get a taste of the wonderful snow during the beginning of spring semester. The only challenge will be finishing the course and organise the exams in Germany before January if one choose to stay during spring semester. During my stay in Norway, it has granted me another totally different perspective of life through Scandinavian lifestyle and teaches me to enjoy nature more than before. I can only highly recommend students to grab this golden opportunity through NWN to make one’s exchange program in Norway a reality. We, as student from TU Berlin, are really lucky to have NWN as coordinator for the exchange program. I can guarantee that you will not regret your stay in Norway. I am thankful to NWN for making the whole process of writing my thesis at NTNU easier.